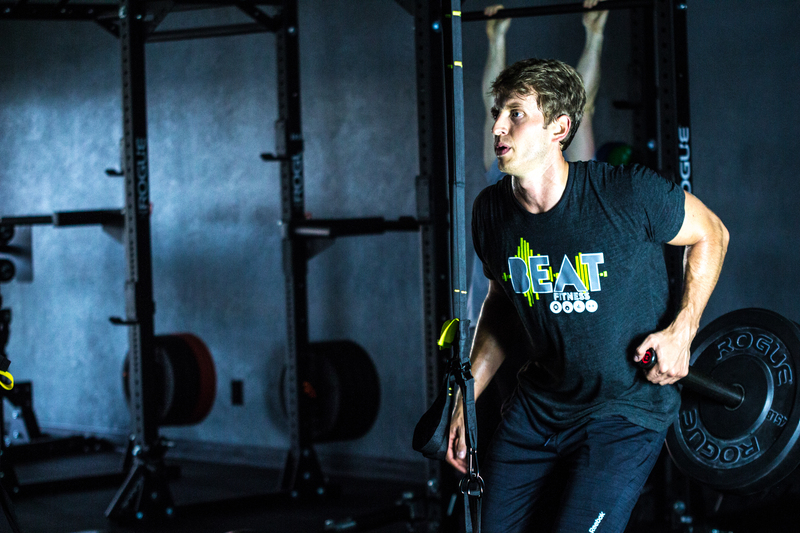 Let BEAT Fitness be your introduction to functional fitness in Pittsburgh. Many people in the area aren’t familiar with functional fitness training. Functional training is basically exercises focused on the science of functional movement and proper ergonomics. Today’s sedentary work demands have many of us confined to a desk for anywhere from 9 to 12 hours a day. This translates to limited functional movement and mobility. As a result, our health is declining. Sure, some of us hit the gym, but what exactly do sets of bicep curls or leg presses really do for our health? These exercises involve the isolated movement of specific muscles – often while sitting, lying down, or standing still – with one plane of motion. Very rarely does life call upon us to mimic such motions for practical purposes. These exercises do very little to improve our balance and coordination, our strength, or our range of motion. We believe that exercise should be about training for life, not looks or events. Far too many people work out for the wrong reasons. They want to lose weight or look toned for a wedding or summer vacation. But what if we shifted this mindset and trained to make LIVING LIFE easier? That’s the idea behind our functional fitness training in Pittsburgh. Many people are oblivious to the fact that they breathe quickly or shallowly from their chest. That is until their oxygen deprived body cries out for help during physical activity. Instead of using the chest to breathe, we need to use the belly and diaphragm for deeper full-bodied breathing. Your diaphragm is a key component to core stability. This is one reason functional core training and strengthening is so important. People often associate core training with well-defined six-pack abs, but core exercises are actually more about stabilizing the body. Nice looking abdominal muscles are really just a welcome side effect of that stabilization. Core exercises are a vital component in achieving better posture, alleviating lower back pain, improving your range of motion, and gaining more agility. Plus, a strong core means you can better handle heavier weight loads. It’s pivotal to developing whole body strength. Not only is balance crucial in sports, it’s just as important in everyday life. Whether you’re walking directly into a strong gust of wind, carrying a mattress up a flight of stairs, climbing a ladder to paint your ceiling, or standing on your tippy toes to reach something overhead, good balance is essential. As mentioned above, our Pittsburgh functional fitness classes focus a lot on strengthening core muscles, which does wonders for balance. Better balance makes for a better life. Balance begins to wane after the age of 35 and must be challenged to ensure it isn’t lost. Whether in sports or on the ballet stage, most of us have witnessed amazing examples of perfectly honed human coordination. Proper coordination lets our muscles and joints function harmoniously with precision. Coordination isn’t instinctual for us like it is for animals. Coordination and movement skills are developed when we’re young. They must then be properly exercised and maintained as we grow older. Real life doesn’t have back and biceps day, chest and triceps day, or legs day. Functional exercises involve multi-joint exercises that simultaneously work both the upper and lower body. Multiple muscle groups are used and trained to work in synergy with one another – just as they need to in everyday life. Even a task primarily involving your lower or upper body, still relies on the other half for stability and support. A simple trip to the grocery store involves a total body workout – you’re pushing a shopping cart, loading groceries into your car, and working your muscles and joints when you put items away at home. Using all these muscles together lets you get more work done in less time. The neuromuscular system is trained to operate more efficiently when we work several muscle groups simultaneously. This leads to improved communication between musculoskeletal and nervous systems and more coordinated movements. Our functional fitness in Pittsburgh utilizes quick explosive movements with high reps in a short intervals to further enhance total body strength and overall power. The end result isn’t just more power and strength, but an easier time moving quicker in real life situations. Another benefit of our Pittsburgh functional fitness training is improved cardiovascular conditioning. Although strength exercises are traditionally anaerobic, the quick movements and shuttling of blood between the upper and lower body undoubtedly have an aerobic benefit as well. This gives you a cardiovascular workout without the mundanity of the treadmill or stationary bike. The human body was built to move up and down, side-to-side, backwards, and forwards. A workout using a single plane of motion is limiting; not to mention boring. Why do only front lunges when you can increase your range of motion with reverse or reaching side lunges? Rotational movements are also good for maintaining a healthy and limber spine all while further developing core strength. Our Pittsburgh functional fitness training opens and loosens muscles, joints, and ligaments to allow for a greater range of motion. GET YOUR FIRST PITTSBURGH FUNCTIONAL FITNESS SESSION FOR FREE! BEAT Fitness has a variety of plans available if you’re looking for functional fitness in Pittsburgh. Even better, your first session is absolutely free. Click here for more details or contact us a call at 724-900-0323.